Certified psychiatrist, specialist in laser therapy, acupuncture, diagnostics and therapy by Voll. 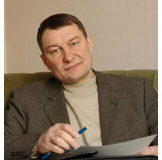 Igor Shelegov has encyclopaedic knowledge and 30 years’ experience of medical practice. * He is the author of unique methods of treatment; he is also a frequent participant of local and international medical congresses. 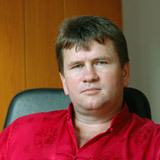 * Igor Shelegov is a specialist in oriental healing methods. * He has been initiated by some most revered Indian Yoga gurus, including Phahari Baba. 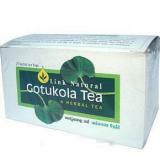 A doctor with many years’ practice both in traditional and non-traditional medicine. 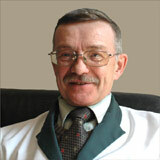 One of the founders and most experienced specialists in modern homeopathy in Latvia. * A most experienced acupuncture therapist. She has a vast experience in the treatment of paresis of facial nerve. * Graduated from Riga Medical Institute in 1962. * International Academy of Classical Homeopathy (1996-2001). 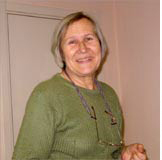 * S.Laputko has been with ROS since 2001. Certified psychotherapist. Graduated from Latvian Medical Academy in 1993. * Psychodynamic or Psychoanalyst therapy (1997-2001, Latvian Medical Academy). * Gestalt therapy (2000-2002, RGI). * Erickson’s hypnosis (1998-2001, IGISP, Moscow; ROS, Riga). * Infantile and Juvenile Psychoanalysis (2005-2008, Finland). * Specialist in acupuncture and non-traditional medicine (1995-1996, Latvian Medical Academy). Therapist. Certified specialist in acupuncture. Specializes in back diseases including hernia of intervertebral disks, movement disorders caused by trauma or stroke, and neuroses. Graduated from Latvian Medical Academy in 1993. * Diagnostics and therapy by Voll (“EIDOLA”, Riga) 1995. * Bio-resonant therapy (Centre “IMEDIS”, Moscow) 1995. * Homeopathy (Homeopathic Association, St.Petersburg) 1996. * Acupuncture (Prof. N.Nikolaev, Riga) 1997. * Medical Astrology (Course by R.Zakharyan, Moscow) 1998-2002. * Disciple and official successor of Professor In (Shenyan, China) 2000.